Are There Foods That Tighten Loose Skin? Loose skin might occur as you get older or after significant weight loss. In many cases, only surgical intervention can considerably tighten the skin, but you can alter your diet to include foods that encourage the production of elastin and collagen, the compounds your body makes that give your skin elasticity. This might help tighten loose skin. Consuming citrus fruit positively impacts the elasticity of your skin due to its vitamin C content. One large tangerine, for instance, provides you with 32 mg of vitamin C, a significant portion of the 75 to 90 mg you require daily. Vitamin C triggers the production of collagen. 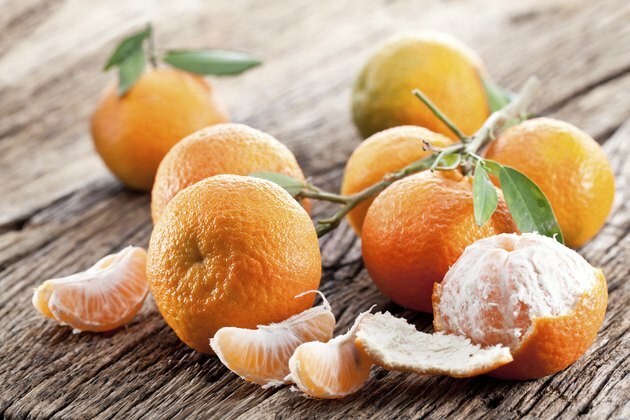 A tangerine also gives you small amounts of zinc and selenium, nutrients that help improve elastin production. 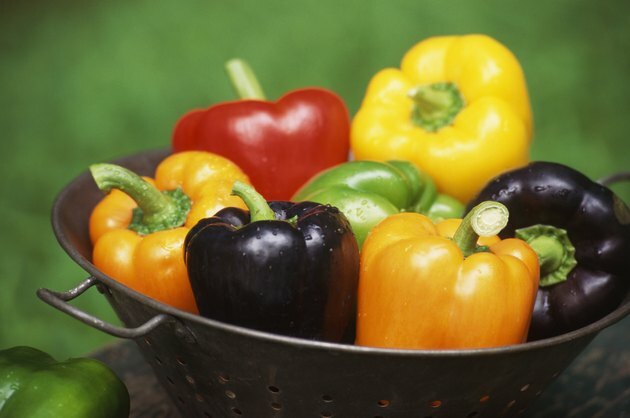 Bell peppers are an excellent source of the vitamin C you need for collagen production, containing 119.8 mg per cup -- far more than the daily recommended intake. This portion of peppers introduces 0.19 mg of zinc into your diet as well; your meal plan should include 8 to 11 mg of this mineral each day to boost the amount of elastin in your skin for tightening loose skin. 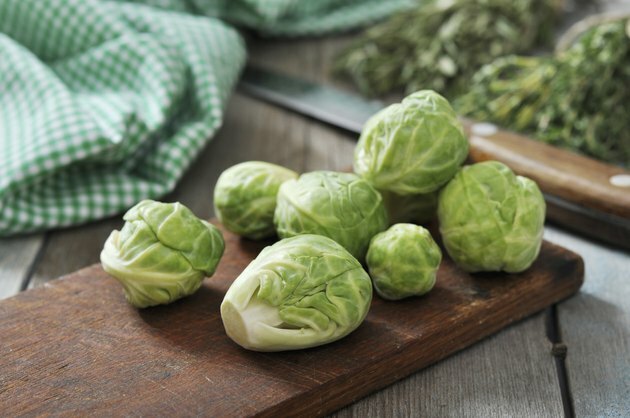 Including cruciferous vegetables in your diet might help you firm up loose skin. The cruciferous vegetable group includes brussels sprouts, cabbage, Daikon radishes, rutabagas, broccoli and watercress. These vegetables are generally a good source of vitamin C and contain other nutrients needed for skin health as well. 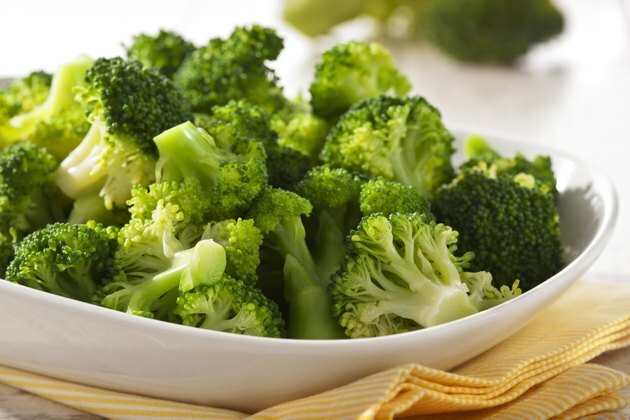 A cup of chopped broccoli, for instance, contains 81.2 mg of vitamin C, 0.37 mg of zinc and 2.3 mcg of selenium, all nutrients needed for elastin and collagen production. Oysters pack a wallop of selenium and zinc, revving up your skin's elastin content. Three ounces of oysters cooked with moist heat introduce 66.8 mg of zinc into your diet, far more than the suggested amount for daily consumption. You also take in 33.6 mcg of selenium; your skin benefits from 55 mcg of selenium daily. In addition to selenium's influence on elastin production, it also helps preserve the look of your skin through antioxidant protections.